The end of financial year is looming. 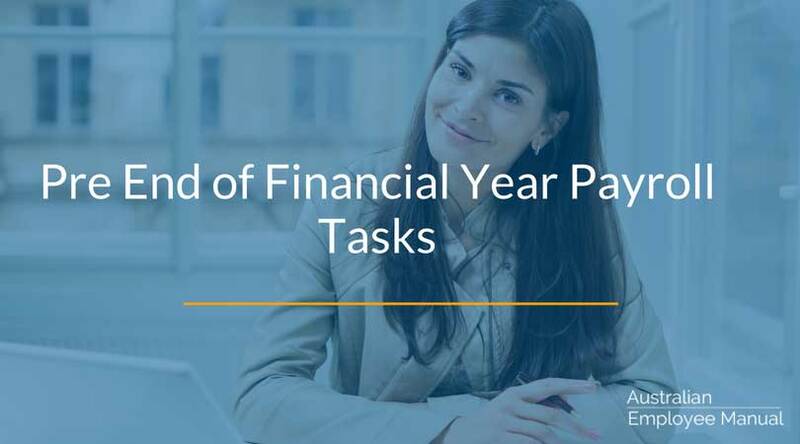 Here are some useful payroll tasks to tick off in June BEFORE you leap into reconciling payrolls and running employee payment summaries. Employee details: Check all employee details to make sure they are still current (e.g. Name, contact details, tax file numbers). Terminations: Check all employees who have left the company have a termination date entered in the payroll system. Age Increases: Check all employees who are under the age of 21 received any applicable age-related increase when they were entitled to receive it, and backpay anyone who missed out. (This is a common payroll mistake that often slips through the cracks). Service Increases: Check all employees who were entitled to years of service wage increases received it when they were entitled to receive it, and backpay anyone who missed out. (This is often missed for employees under the Clerks Private Sector Award). Superannuation: Consider pre-paying superannuation contributions if you wish to claim the tax deduction this financial year for superannuation payments made to employees. Remember, contributions are only claimable from the date the fund receives them so if you are heading down this path, don’t wait until 30 June to make the payments. Leave: Check all annual leave entitlements of your employees, and encourage people who are accumulating too much leave to book in a break. 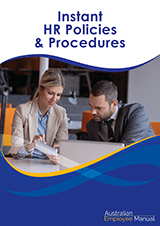 Policies: Review your HR Policies and Procedures Manual to make sure it is still current. Awards/Agreements: Check that all employees have the correct Industrial Award or Agreement listed against their details in the Payroll system. Casuals: Check if any casual employees have been working a regular and repeating roster. If they are, they are probably a part-time employee under their award or agreement, and you need to address the issue. Fair Work Statement: Check that all employees have been given a copy of the Fair Work Information Statement. Many small businesses choose to send out a copy each year with their Employee Payment Summaries (just to be on the safe side). Expenses: All outstanding employee expense claims are received well before the end of financial year to make it easier to process and reconcile. The last thing you need when knee deep in end of year reports is to be chasing current contact details for employees because their payment summaries bounced or were sent to the wrong address, or being buried under a mountain of expense claims on the 30th June! These few checks help ensure that you are remaining on top of your wages legal obligations and keep your payroll data clean and organised.